One of the biggest love/hate relationships I have with 5e D&D is their release schedule for adventures. One one hand, I love the fact that 5e is a healthy, vibrant game for WOTC due in large part to their measured releases, but by the same token, I hate the fact that I don’t have a Dragon/Dungeon magazine, or a large amounts of adventures to pick from. Sure, they’ll tell us that the DMs Guild is doing the heavy lifting there, and that those adventure ARE the official D&D adventures, but I want a shiny book in my hand that I can hold, leaf through, write margin notes on, and use at the table. I don’t want organized play adventures for my home game. They aren’t the same thing. On top of that, the adventures they do physically publish are large hardbound books, and not the short romps we’d get from a module or a Dungeon adventure. And then they drop “Tales from the Yawning Portal” on us. An interesting book to say the least, but one that I’m not quite sure who it’s aimed at. Old players? New players? TftYP is a gorgeously produced, 248 page hardback updating seven “classic” D&D adventures from a few editions of the game to 5th edition. There are a lot of things to like about this book. The art is one of those. New artwork graces these old adventures, all for the better. It’s fresh, modern, and inclusive. The 39 monsters and NPC’s included in the book are also pretty fantastic. The NPCs are making a repeat appearance after first debuting in Volo’s Guide to Monsters (I thought they were new to this book, but my twitter-bud James corrected me). Along with the new creatures, 15 magical items make their 5e debut, all updated from these old adventures. I’d say that the monsters and items alone are reason to give this book a look. One way I think I’d use this book (obviously beyond its intended purpose of running the damn dungeons) is to take bits and pieces and use them in my own creations–the traps, dungeon locations and sections are incredibly useful to mine through and pop into my own dungeons. I may not be interested in running “Tamoachan”, but damn does that module have some neat traps and chambers. What don’t I like? The lack of a poster map is a big one. Some of these maps are huge! The Tamoachan map is spread over two pages, and some of it even gets lost in the book’s fold! Shrinking these large maps down to fit on a 8.5×11 page is crappy, and not including a digital download of them more so. Yes, the artists offer them for sale, but come on WOTC, throw us a bone here with these maps. At least a pdf. Also, where are the handouts? For example, Tomb of Horrors originally included a bunch of player handouts… they were even included in the Dungeons of Dread reprint hardback from a few years ago… But not here, and they are missed–a noticeable omission. So do I like the book? Yeah. I guess. I’ve been asking for WOTC to release shorter adventures along with the hardbacks and their year long commitments, and I guess I got what I’ve been asking for–sort of? I don’t see myself running these as part of my campaign, but I do see me using a lot of it in my homebrew stuff. Can you go home again? 5e proved you can. I don’t know that this product was necessary to keep you there, but I guess it’s a welcome add to the 5e library. I still want a true short adventures product, like a Dungeon magazine, or a softcover of small adventures like the type Kobold Press releases. 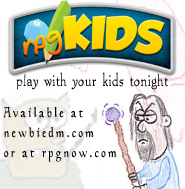 And while I ultimately recommend the product due to its high production value, the new monsters and magical items, and the inclusion of plenty of stuff to steal from, I warn new players and DM’s that these adventures are not the type of stuff you may be used to from 5e, as there’s some adversarial DM vs. PC stuff here that modern game design, and certainly 5e, discourages. You have been warned…. now go take care of Acererak and that horrific tomb of his…. Full disclosure: The Amazon links above are linked to my Amazon Associates account. Wizards of the Coast supplied a complimentary copy of this product to facilitate this review. There may be a high value to this book for WotC. Sure, you get some nostalgia sales, but you also get these classics into the hands of anyone at any gaming/book store. These classic adventures are part of the language and mental space of D&D. We established players think of these classics all the time, and use them as inspiration, reference, humor, and more. Bringing that forward for new and casual players, or just for anyone that missed them back in the day, is a great way to keep that common language and mental space going. If we look at D&D 5E’s hardbound adventures, that seems wise. Most of them really draw inspiration from older series and speak to that history while bringing it forward. They surely intend to do more of that in the future, so knowing the classics works well for their release strategy. On the 2E/4E comment. I know there are some absolutely amazing adventures for both of those editions, as well as far more amazing 3E adventures than those very early releases. But, the later editions didn’t do a good job of cementing adventures as classics. I wrote about that here. The classics were on shelves for decades. That longevity is what made them classics. In today’s world, you have to do something different to create a classic, and I think 5E is doing that through the big storyline focus. We will remember Strahd and Tyranny and Storm King far more than any of the initial 2E to 4E adventures because of that strategy. It may have also been as simple as “let’s reprint the classics, and… what else can we add?” And then you come up with Dead in Thay as one you add in to showcase how great recent adventures have been (and they have been amazing). Dead in Thay is great, but there are many other 4E era adventures that could have been used instead. Adventure writing has come a long way since the classics! Now, I am curious what you want out of WotC beyond the hardbacks. Adventurer’s League provides short 4hr and 2hr adventures for really low prices (even cheaper on a bundle). About half of the time, their authors are the same caliber of writer that would freelance on an official adventure. And, the adventures are tied to the official storyline, adding an additional story to the storyline. Sure, you don’t get the amazing formatting and art. Sure, the development/editing isn’t the same as with an official product. But I think this really covers a lot of what the market needs. If that doesn’t work you have a ton of Guild stuff – everything from auto-filling character sheets, to super-short delves, to long connected adventures. Coupled with how adventurers have in most editions made very little money, I don’t see WotC changing their strategy in a major way. Yeah, I agree that I don’t see them changing the strategy, my desire for shorter adventures is fueled by the same thing that fuels this very book–nostalgia. I’d much rather have a stack of short adventures that can be completed in a few sessions, and move on to something else, than commit a huge amount of time to a 200 page hardcover book that may never see a conclusion due to the time limits some gamers today face. It’s a completely selfish ask on my part, don’t get me wrong, I realize that! Great review. One thing I like to do with adventures is find a way to the them in with other adventures or into my own campaign ideas. The new group I’m running for is going to start in The Sunless Citadel. I’m using that adventures to lead into The Curse of Stahd. The main guy at the end of the adventure is a minion of Strahd. The history of the tree ties the two together nicely. After the end they’ll be whisked into Barovia to face the wrath of Strahd. Keep up the good work newbiedm!